In a case of Drexciyan fiction becoming fact; over the holidays I heard someone on the radio talking about a scientific breakthrough for breathing underwater and today I got around to finding more about the subject online. A new scientific breakthrough has created a material being called the Aquaman crystal that stores and releases oxygen. This which could allow humans to breathe underwater. Researchers have synthesized a crystalline material that absorbs oxygen, stores it, and can release it for breathing. It's still a good few years off and you would wear a mask with these crystals inside it when being underwater but it does sound a lot like a Drexciyan to me. Human science and evolution is an amazing thing. More information on this at this link. 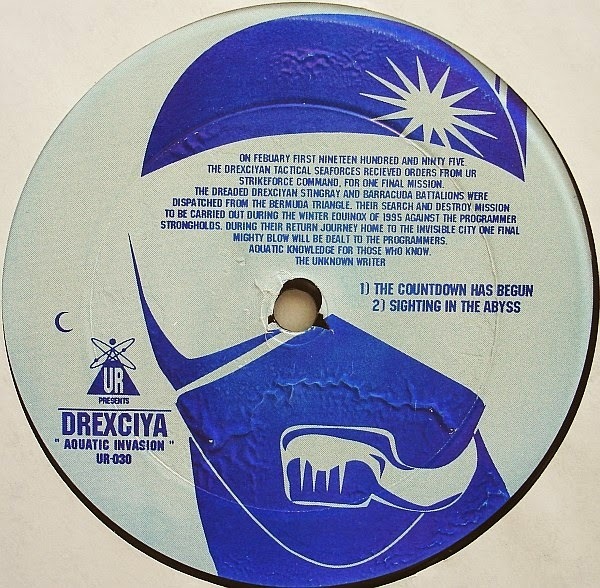 To get you in the mood, Drexciya's 'The Mutant Gillmen' video here. Heinrich Mueller has already played his first show of 2015 with a rare set as Arpanet in Sweden on 2/1/15. Details of this past event here.